Many of our customers at AAM Competition requested an easy solution when mounting fuel pressure gauges, fuel pressure gauge isolators, or fuel pressure sensors to the factory fuel system. 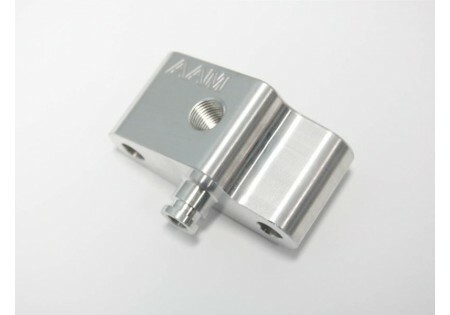 We responded by developing our AAM Competition 350Z Fuel Pressure Gauge Adapter block with a 1/8'' NPT tapped hole that bolts neatly onto the factory fuel line (virtually all fuel pressure gauges/isolators are threaded 1/8'' NPT). 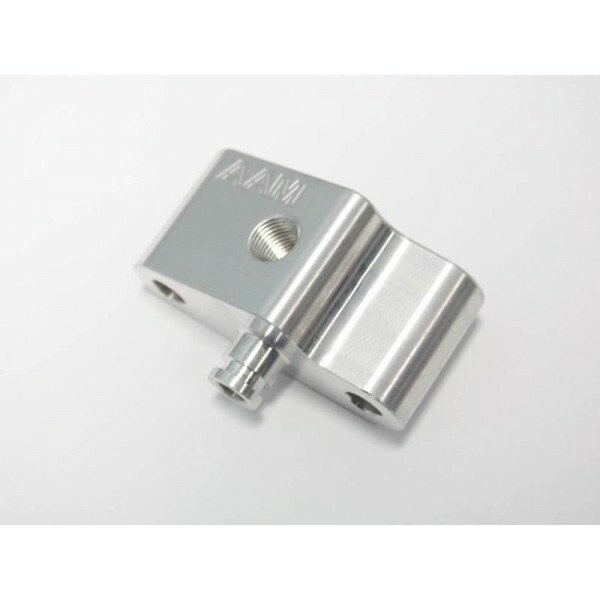 Our AAM Competition 350Z Fuel Pressure Gauge Adapter 350Z fuel pressure adapter kit eliminates the need to cut into the factory fuel line for a fuel source.